Don’t postpone finding professional black mold removal services when you need them for your home or business in Alpharetta, Georgia. 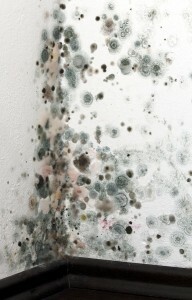 Black mold releases hazardous mycotoxins, which can irritate allergies and cause a range of other health effects. At Abatement Solutions, Inc., we’ve identified, removed, and prevented black mold growth for a wide range of clients, and we specialize in mold remediation, meaning we have greater expertise than many mold treatment companies that only offer those services in addition to their primary line of work. Once we have completely rid the area of toxic black mold, we will then coat certain at-risk unfinished surfaces with a preventative mold-resistant coating, which will keep mold from growing on those structures even if mold spores land on them. We back this remarkable protective treatment with a 10-year warranty. To learn more about how Abatement Solutions’ black mold removal services can make your home or business a safe environment, contact us today. Our team proudly serves clients throughout the Alpharetta, GA, area.